Nico Vega is an American rock band from Los Angeles, California, formed in 2005. 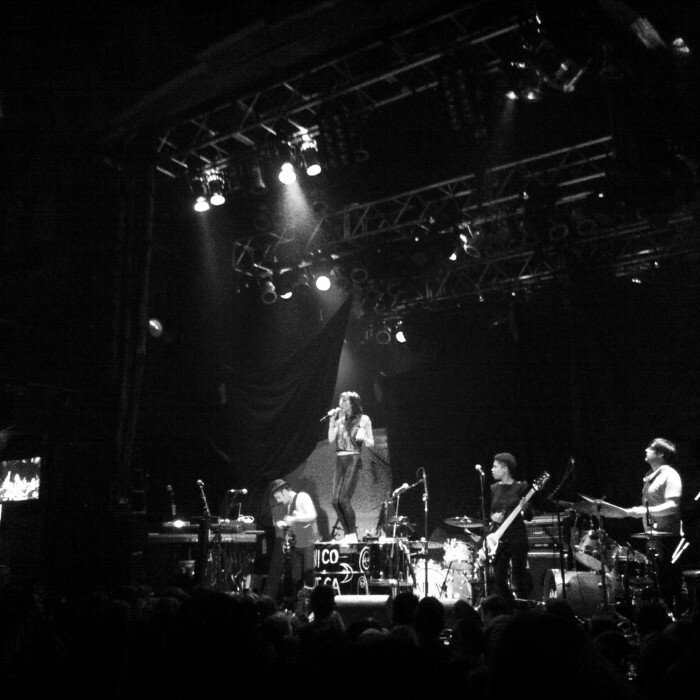 The band consists of lead singer Aja Volkman, guitarist Rich Koehler, drummer Dan Epand, and bassist Jamila Weaver. The band's popularity soared in 2009 when they performed three songs on Last Call with Carson Daly. Nico Vega released several independent EPs and recorded their own videos to get their music out. Their hard work paid off when they got the attention of famed rock manager Doc McGhee of McGhee Entertainment. They already had a recording contract with MySpace Records and soon recorded their first full-length album titled Nico Vega. Linda Perry produced three of the songs on the album while the rest were produced by Tim Edgar. The album was mixed by Tchad Blake. They were very active in 2009 touring with Bush singer Gavin Rossdale, Semi Precious Weapons, Neon Trees, Manic Street Preachers, and Shiny Toy Guns. In 2010 they toured with The Soundtrack of Our Lives, Metric, Sweethead, Saint Motel, and Imagine Dragons. In 2011 they toured with She Wants Revenge and Blondie.In 2012 they toured with Neon Trees. In 2013 they will tour with Imagine Dragons and Atlas Genius. In October 2012, their song "Beast" was featured in a trailer for the video game BioShock Infinite and in November was also featured in the TV trailer for the new Tom Cruise film, Jack Reacher.